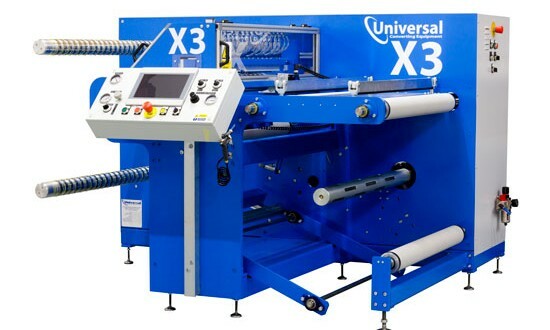 The Universal X3 is a narrow width compact slitter that has equal capability to many much larger slitter rewinders. It’s compact footprint, accurate tension control and high-speed capability make it ideal for many narrow-width slitting applications. The X3 has edge line guiding and can be fitted with lay-on arms and differential shafts as specified. 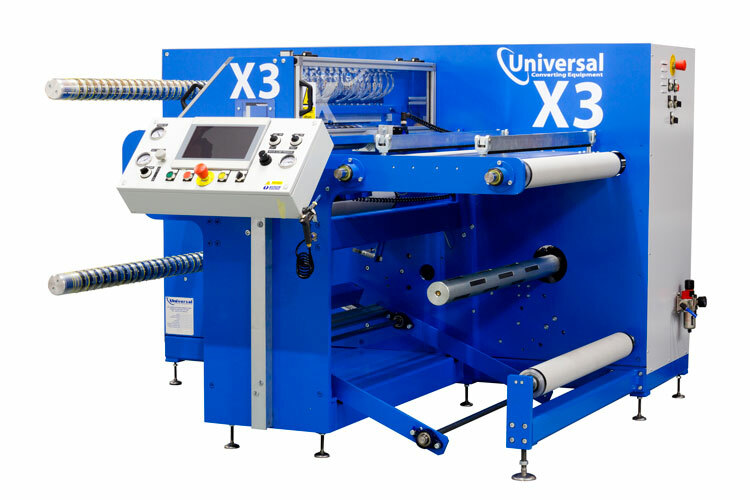 The small footprint and cantilevered shafts make the X3 a popular machine with customers who have limited floorspace but require a high-performance slitter rewinder. The cutting section is easily (but safely) accessible making job setups safe and easy for operators. The short web-path makes this machine ideal for slitting high-value materials where wastage needs to be kept to a minimum.